The deluxe and elegant Rimrock is built in grand style with luxurious facilities such as the spa and indoor heated pool. It enjoys a unique setting of unsurpassed beauty whilst being just a short drive to downtown Banff. 5 minutes to downtown by Free shuttle bus and link to ski bus to the slopes. 346 Standard rooms have two queen (sleep 1-4) or one king size bed (sleep 1-2), TV with pay-movies, tea and coffee maker, telephone, hairdryer, mini fridge, bath and shower. Premium rooms with panoramic valley views, bathrobes and high-speed Wi-Fi. Grand View Rooms with mountain views are also available. Premium and Grand View rooms rooms have the same bed configuration as Standard rooms. On-site restaurants serving breakfast, lunch and dinner (payable locally). Banff was beautiful, I didn't want to come home. 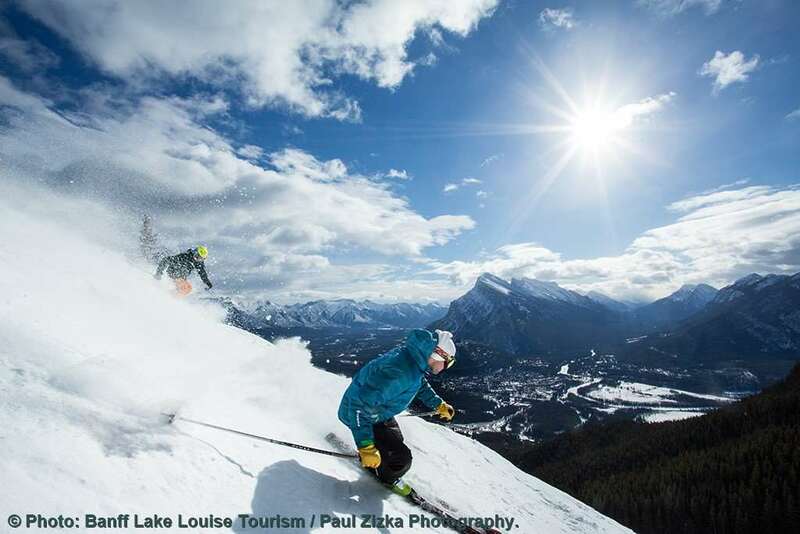 It was the first time I had skied and the instructors at Lake Louise were great. We managed our first run. The snow conditions were great, powder all the days, they say it was the best conditions in 5 years. Our rep Alison was great, she set us up with everything, the lessons the lift passess and other excursions. The town itself it great, lots of places to eat and quite a few shops although some were a tad expensive. The hotel was great, the staff were really friendly, they dropped us to the ski stop every day and picked us up. The views from the hotel are wonderful even though we had a standard room. It is a bit far out but you can use the bus services for free with your room key and the bus only takes 5 mins to get into town. Only down side is the buses come every 40mins. Otherwise we will definately be returning next year!